At 2217 hours, Box 12-3 sent Engine Companies 12 (Lower Allen), 14 (Camp Hill), 10 (New Cumberland), Truck 12 (Lower Allen), Rescue 12 (Lower Allen), and Squad 13 (West Shore) to 1133 Columbus Avenue for a kitchen fire. Chief 12 went enroute and advised of a stove fire that spread to the kitchen. First arriving companies to the Highland Park apartment complex had heavy fire from the rear of a 2 story, occupied, apartment building. Engine 25 (Monroe Township) and Squad 8 (Harrisburg) were special called shortly followed by the second alarm at 2228 hours. Engines 68 (Fairview Township), 37 (Naval Support Activity), 24 (Lisburn). Truck 10 (New Cumberland), Rescue 69 (Defense Logistics Agency) filled out the second alarm. 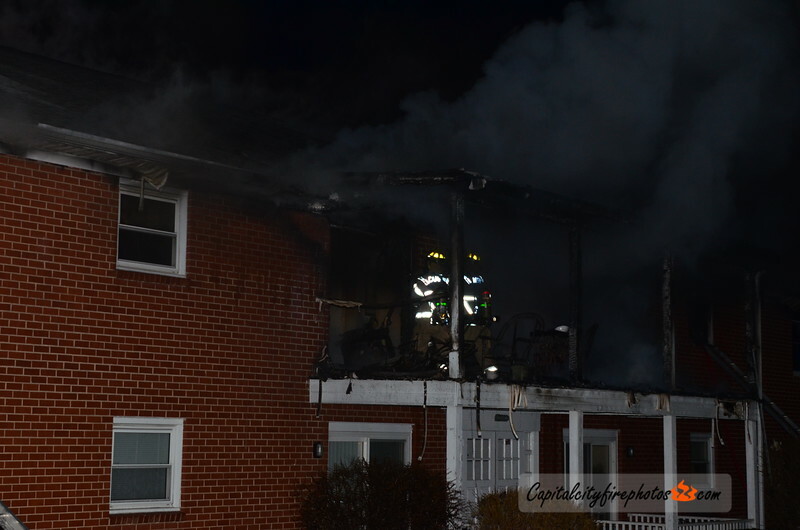 Multiple lines were put in service for fire that involved 2 apartments in the 12 unit building. A third was requested bringing Engines 22 (Shiremanstown), 30 (Hampden Township), 31 (Silver Spring), Truck 23 (Upper Allen), and Rescue 30 (Hampden) to the scene. The fire was placed under control in about an hour.